Notes: Barr Castle is a late medieval tower house. It can be seen today as a ruin on a low ridge to the south of the village of Lochwinnoch, Renfrewshire, Scotland. Barr Castle was constructed in the 15th or early 16th century. 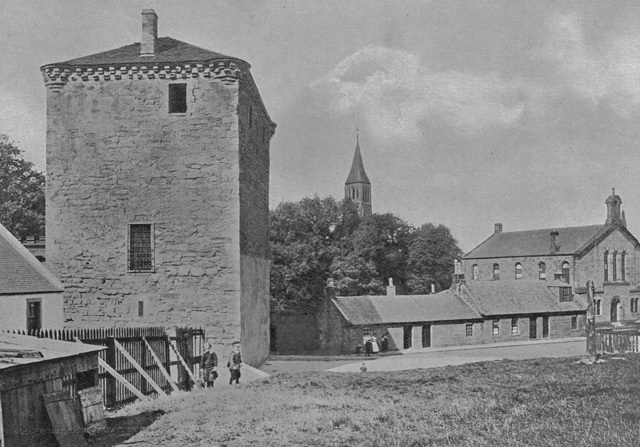 It passed into the hands of the Hamiltons of Ferguslie at the end of the 16th century. They retained the castle until the late 18th century, when they sold and abandoned it for a new mansion. The castle is protected as a category B listed building, and as a scheduled monument.